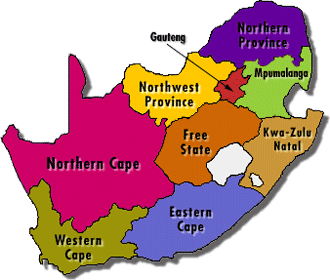 Over the past few months it has come to our attention that quite a few copies of Western Cape Rock were being returned due to binding problems. Some of the sections were coming loose from the spine glue, others were losing their cover, and some had stitching problems. This was of course a huge concern to us, as Blue Mountain Publishers pride themselves in producing world class guidebooks, and as the leading climbing guidebook publishers in the country, we could not accept anything but the best quality from our products for our customers. After lengthy discussions and meetings with our printers, it wasn’t plain nor obvious where the exact problem lay, but because of our long and good relationship with them, they decided to reprint the entire job, to make 100% sure that we got a top quality product. 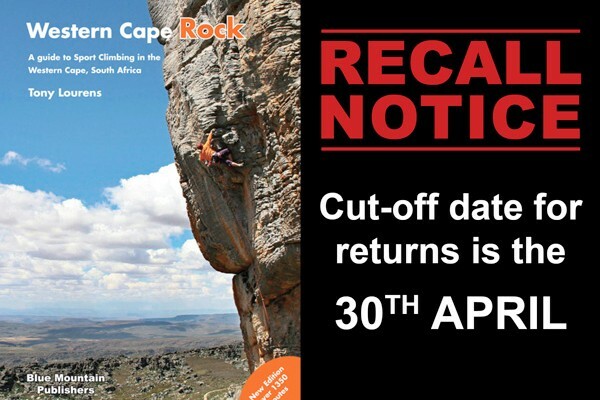 So, this is a RECALL NOTICE to anyone who has bought or acquired a copy of the new Western Cape Rock guidebook and has had any problems with the book with regard to the above. Please drop your copy (with a note bearing your name, cell no and email) off at City ROCK Observatory, and it will be replaced with a brand new copy in May this year, to be collected at CityROCK. You will be alerted by email when your new book is available. All signed copies will be replaced with a new resigned copy. The cut-off date for returns is the 30th April, which we feel is a reasonable amount of time to get the word out and for people to bring in their damaged copies. Please note that no returns will be entertained after this date. We apologise for the inconvenience, but we feel this is the only solution to make sure that you get a top quality guidebook and to ensure that Blue Mountain Publishers remains your trusted and premier guidebook publisher in SA. I bought a copy in preparation for a massive comeback in 2017. The book is in pristine condition and untested. I really hope it holds together next year. I’m lucky enough to still have possession of my 1995 edition. Hit me up if you need any beta next year when your new book’s pages have deteriorated. I also know Sean Marsh, which basically means you’ll never need a guide book. Good luck with your comeback next year. Is there a new edition coming out soon or should i buy this version? Tx.